You can say I’m in love with her writing. I vaguely remember what The Scarlet Pimpernel is about, but that won’t detract from what I assume will be an awesome book. In this book, the characters are gender-flipped. I LOVE THAT. Here, we have a female as the leading main character (instead of a male like in the original book) and she’s a spy! Yeeessss. (I don’t know if you know this about me, but I am really into spies.) And they are pretending they are in love? Can this book get any better? Sounds amazing! I love the whole idea of the Scarlet Pimpernel – secret identities are my jam – so this is definitely one I’ll be looking out for. Such a gorgeous cover as well! 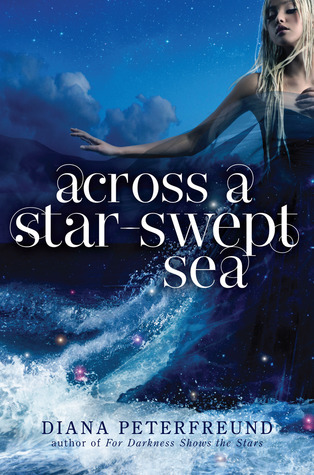 I will probably end up reading Across a Star-Swept Sea once it comes out because I read For Darkness Shows the Stars. I remember liking Peterfreund’s writing. Plus, who can ignore this cover? I am waiting on Where the Stars Still Shine by Trish Doller.